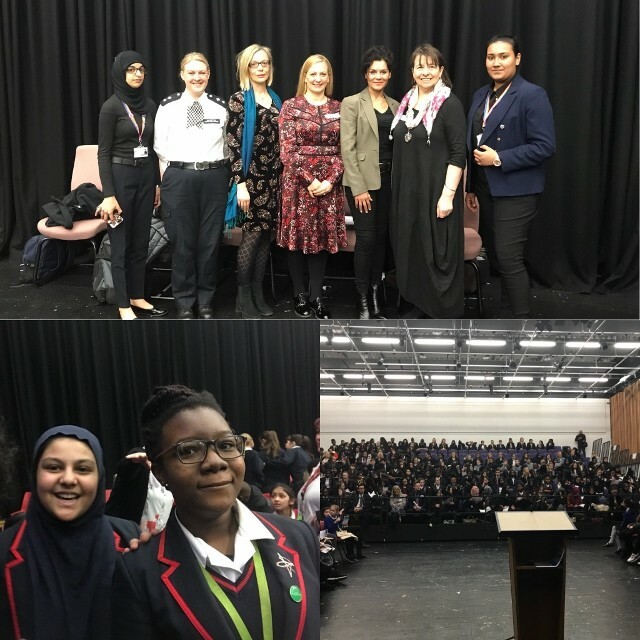 We had a wonderful day celebrating International Women’s day 2018, working our way across London and beyond. A big Shout out to Plumstead Manor School who put on such a wonderful packed day – you were a terrific audience! An absolute pleasure to share the platform with some amazing speakers and panellist during the day #PressForChange #PressForChange #IWD2018 from Police Inspectors, MP’ activists, community associations, women’s groups , academics Professionals and entrepreneurs – too many to name but thank you all for inviting us along!